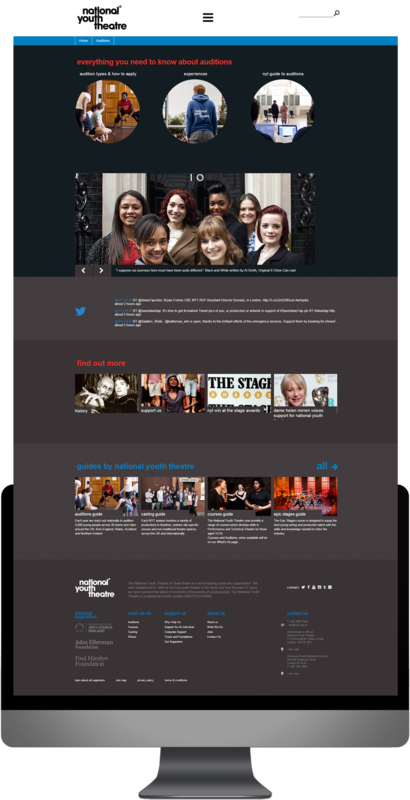 The National Youth Theatre of Great Britain is a world-leading youth arts organisation established as the first youth theatre in the world. Over the past 57 years they have nurtured the talent of hundreds of thousands of young people. 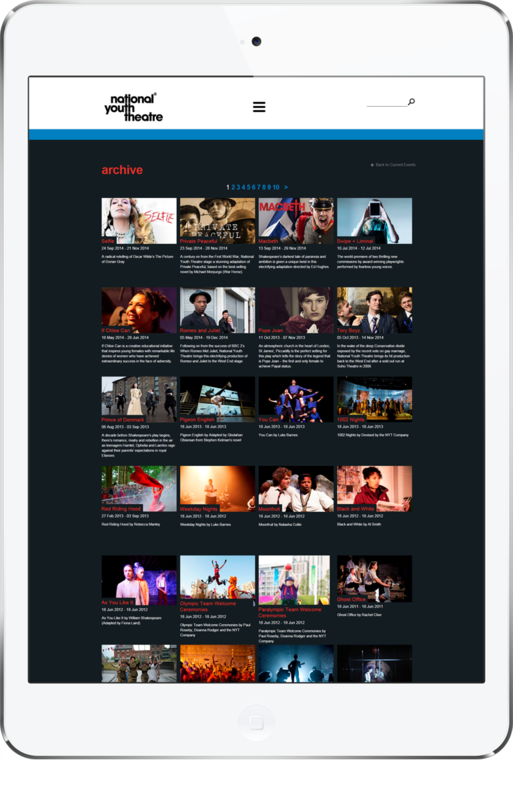 Web was selected to develop a new website and backend application which processes thousands of online applications for auditions, courses and castings. A membership system was created to manage their annual member subscriptions. A donations application was also developed along with a comprehensive financial reporting system. Web created an application where associates can log into backend profiles and score individuals. The system then automatically forms pass or fail groups then emails results directly to applicants. Members are kept up-to-day with postings in a dedicated member’s area where they can update their profiles with any new talents and videos. All payments and donations are managed through integration to the Barclaycard payment service.